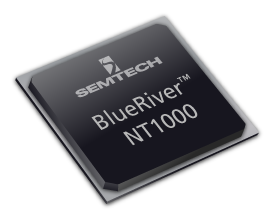 BlueRiver™ NT1000 delivers high-performance switching and distribution of AV content – up to true 4K60. It meets all the requirements of a Pro AV matrix switch or KVM, including the ability to transport HDMI 2.0b signals with HDR, stereo or multichannel audio, and control signals including IR, RS-232, and USB. AVBRNT1KCUTRX01-SD Semtech AptoVision BlueRiver NT1000 for Cat-x Support. FPGA not included. AVBRNT1KFITRX01-SD Semtech AptoVision BlueRiver NT1000 for Fiber & Cat-x Support. FPGA not included.